Hi. My name is Krista and I have 20+ years of experience working in restaurants. I have worked in every type of restaurant imaginable; from a German Deli in a Mall in Jersey to several Michelin Starred restaurants in NYC. I have worked with Iron Chef’s, Top Chef’s, Top Chef Masters and the best of the best in the biz. What I have learned is that there is a universal lack of dining etiquette. My goal is to bring etiquette back! I want to educate and enlighten in a fun, light yet very honest way to help both the paying guest and the server have a better dining experience. Since I have 20+ years of experience, I have all of the inside dish on how things work…so if you have any questions, send them along. 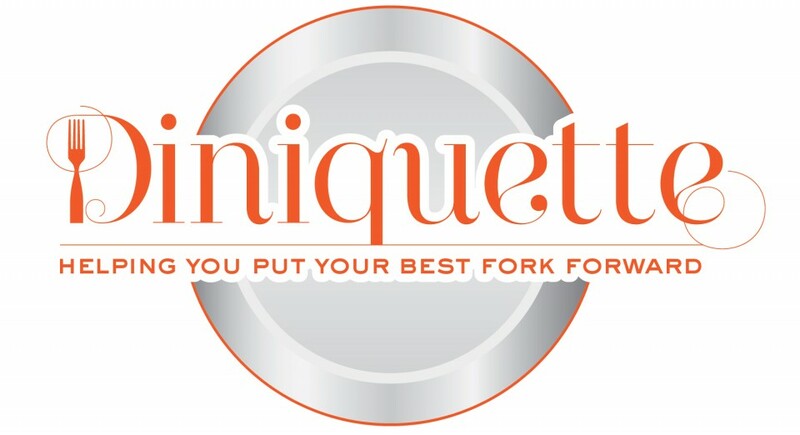 Hello Krista, thanks for writing about etiquette! I’m so glad there is still somebody who cares about this! I stumbled upon your blog while looking for an answer to what may be an embarrassingly simple question, and I see that you welcome questions? Here’s mine: my husband and I are planning to have a very special dinner at a michelin-starred restaurant in Paris later this year. While I consider that we generally have “good” manners, we absolutely do not want to commit any faux pas during this experience! So can you tell me, generally, the rules? Since we are, in fact, American, do we have to learn to switch our fork and knife hands and eat as the Europeans do? I’m sure the dress code is pretty formal…so do we need to rent “fancy” clothes for my husband? If we order the “chef’s menu” and we are served something that we don’t know “how” to eat, what then? If I’m going to pay this kind of price I absolutely want to have the perfect experience and do not want to contribute to any “Ugly American” stereotypes. I want our actions to speak well of our country when we travel! Thank you for writing and asking the questions….they’re great questions. 1)if you are NOT done eating, put your knife on your plate at 5o’clock and your fork at 7. If you ARE done eating put your silverware together and place it at 5o’clock. These are universal signals. 2)if there is a lot of silverware in front of you, ALWAYS start on the outside and work your way in. 3)if there is silverware you don’t know how to use, just take a breath and look around. Usually someone else is using it and you can follow thier lead. 4)the only tricky silverware would be a fish knife and the proper way to use it, (which I wrote about) and an escargo holder, (i.e. that scene in Pretty Woman)….truly that gizmo is just to hold the snail while you dig it out with a cocktail fork; so no worries. *Wardrobe is the same there as it is here. I’m sure you’ve done your research on the Michelin Star restaruant your dining at. They should list a dress code on their site. When in doubt, especially at a Michelin Star, a sports jacket never hurts. I’m obsessed with Marshall’s and TJMaxx; you can get an amazing one their for very little money. *TIPPING:…this is very important. In France, 15% service is automatically added to every restaurant/cafe check. It should say: service compris, which means tip included. If you had an amazing experience and you want to leave a little extra, do it; however it is not a must. I tell you this because if you are approached by a waiter who is asking you for a “tip” because you only paid a “service” charge, HE IS TRYING TO SCAM YOU. You are never required to tip more. I would immediately talk to the manager and I would post an online review and name names. Any more question I’m glad to help. Merci beaucoup! Yes, these are the sorts of things we need to know. Yes, the dreaded fish knife! And anything with a shell. Or caviar. Or awkward pasta…yes, I may be a little bit paranoid 🙂 Thanks for the reply and the tips! Shellfish will always have a cocktail fork. If it’s twirling pasta, twirl it against the side of the bowl. Caviar comes with it’s own spoon and then you assemble as you prefer.